Solomon Islands is not an awarded battle honour. 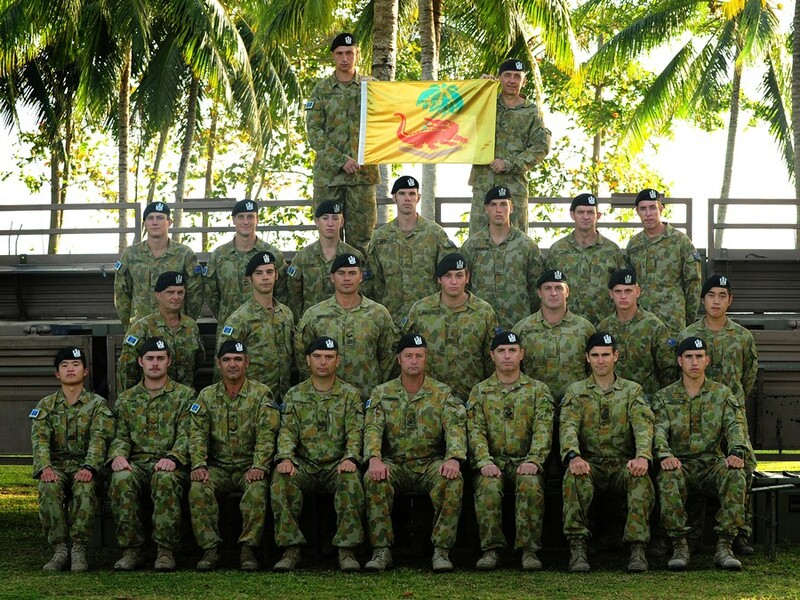 In 2010 the Regiment deployed a sub-unit on operations, the first operational deployment since Balikpappan in 1945. 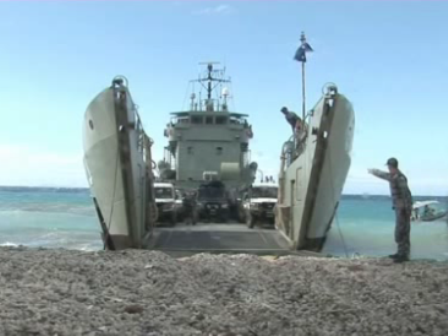 The sub unit was part of Operation Anode, the Regional Assistance Mission to the Solomon Islands (RAMSI). The mission was one of peace keeping. The situation in the Solomons followed a period commonly referred to as the tensions or the ethnic tension, the initial civil unrest was mainly characterised by fighting between the Isatabu Freedom Movement (also known as the Guadalcanal Revolutionary Army) and the Malaita Eagle Force (as well as the Marau Eagle Force). The islands of Guadalcanal and Maliata can be seen on the map below. In late 1998, militants on the island of Guadalcanal commenced and had a campaign of intimidation and violence towards Malaitan settlers. 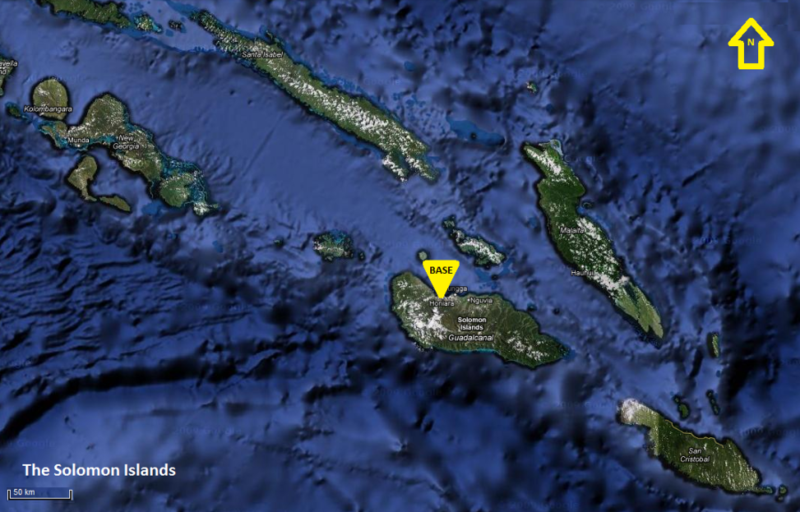 During the next year, thousands of Malaitans fled back to Malaita or to the capital, Honiara (which, although situated on Guadalcanal, is predominantly populated by Malaitans and Solomon Islanders from other provinces). 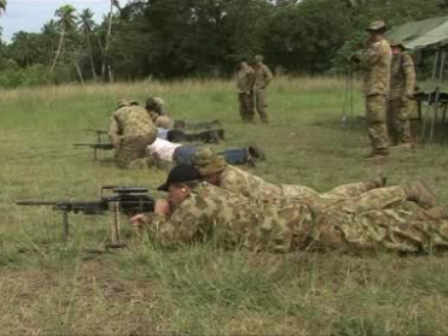 In 1999, the Malaita Eagle Force (MEF) was established in response. An awful bloody civil war followed. The prevailing atmosphere of lawlessness, widespread extortion and ineffective police prompted a formal request by the Solomon Islands Government for outside help. With the country bankrupt and the capital in chaos, the request was unanimously supported in Parliament. 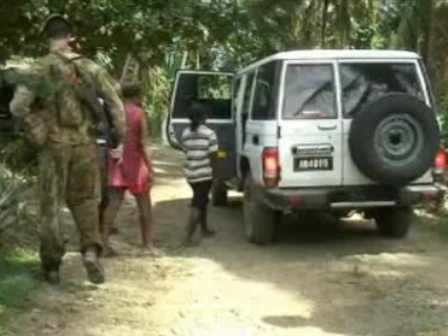 In July 2003, Australian and Pacific Island police and troops arrived in the Solomon Islands under the auspices of the Australian-led Regional Assistance Mission to Solomon Islands (RAMSI). 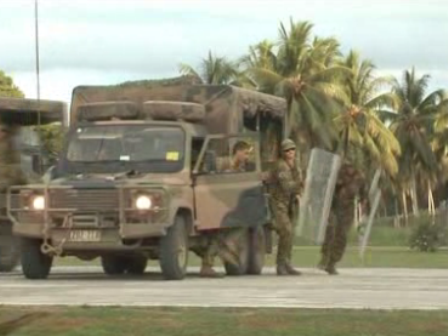 A sizable international security contingent of 2,200 police and troops, led by Australia and New Zealand, and with representatives from about 20 other Pacific nations began arriving the next month under Operation Helpem Fren. Starting in February 2010, the Lancers chosen for deployment spent eight weeks intensive training in the skills required for the mission. Our soldiers were based at the capital Honiara on the island of Guadalcanal of World War II infamy. There the base was comfortable, soldiers had access to the internet and telephone, thus were able to stay in touch with families in a way not possible in previous conflicts. In the capital RAMSI soldiers were involved with programmes of physical and social reconstruction. Being reservists with a broad range of civil skills, they were well suited to the tasks which included anything from teaching school, teaching and playing football to construction projects. The main task was armed patrolling, ensuring order in what was recently a war torn failed state, one that still had ethnic tensions simmering not that far from the surface. Training was also a major part of the daily routine, ensuring the military skills required should civil war return to this erstwhile paradise were honed to perfection. On a rotational basis, patrols were sent outside the capital. The patrols consist of an assault trooper section supported by members of the intelligence corps, medical corps, local and Australian Federal Police. On the island of Guadalcanal deployment was by Landrover then foot patrols through settlements and sensitive areas. The patrols showed a peacekeeping presence that was armed but friendly and helpful. Deployment to other islands was by Naval landing craft, then Landrover and foot. These patrols were each of 2-3 weeks duration, with our troops small in number, the initiative of the individual was key to their success. When the Lancer deployment returned they displayed the symbol of the 4th Armoured Brigade of World War II, the symbol they adopted along with the icon used on our website as theirs. 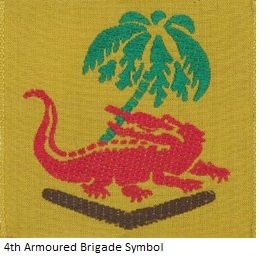 The 4th Armoured Brigade of which the Regiment was a part was formed to provide armoured support to the South West Pacific campaign, the crocodile represented a creature of the area with the strength and protection associated with armour. Our website icon shows the Carrington crest in red representing the earliest days of the Regiment over the shoulder flash of the 1st Light Horse, representing the Regiment's light horse traditions; a website icon has to be able to be recognised in a 16 x 16 pixel display. Our Lancer contingent will returned late September 2010, and was welcomed by a parade on 9 October. The parade was near flawless, and can be viewed below.